The only PFRPG reference document for the iPhone! An excellent tool for DM and players alike! Now you can enjoy the PFRPG rules wherever you are! PF is of course short for a brilliant fantasy RPG by Paizo Publishing. Are you tired of carrying around huge books? Why should you, when you can keep all the stuff you need for a good PFRPG session right on your mobile device? 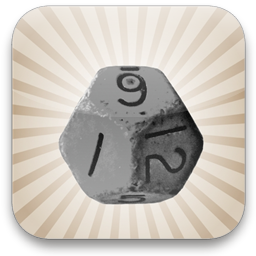 This app gives you the full PFRPG Reference Document in an easily accessible format. While your friends are struggling with heavy books and well hidden rules, just fire up this app and settle all questions long before your fellow players have found where to begin reading their dead tree tomes. Your awesomeness at looking up rules will become the stuff of legends! ...and all the other bits in between. While reading, rotate your device to landscape orientation for more space. Bookmark by pressing the + button. A bookmark points to the item you last selected. Thanks to Glyphish for exquisite icons!